Windows Media Player is a great player which can burn CD for you. However, when you want to reuse a CD-RW disc that has files “burned” on it already, how could we operate it? First you need to erase that content. Windows Media Player will help you with it. 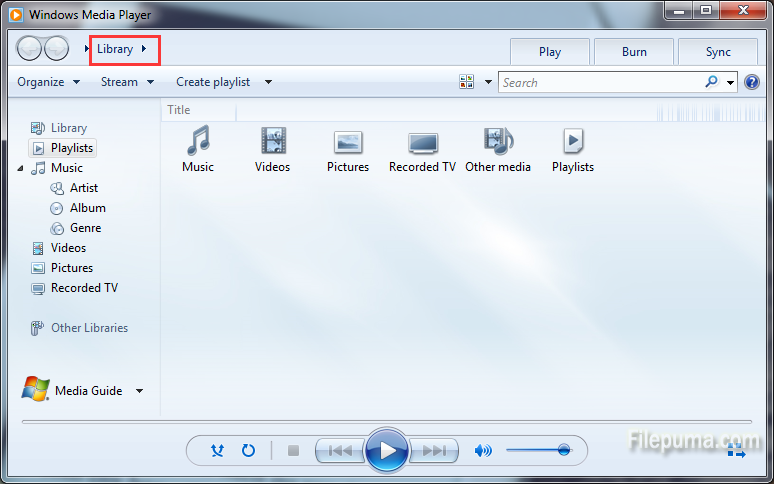 Here is an instruction to tell you how to erase a rewritable CD with Windows Media Player. Note: Please ensure the CD is a rewritable CD. 1. Run Windows Media Player. Select the “Library” tab on the main interface. 2. Insert the CD-RW disc you want to erase. 3. Find the CD-RW icon and the name of the CD-RW on the left pane. Please make sure this is the disc you want to erase. 4. Put your mouse over the CD-RW name and right-click. Select “Erase Disc.” Click on the “Yes” to confirm your operation. 5. Wait for a while, and then the program will help you to erase a rewritable CD.